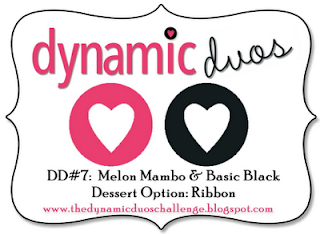 We are back this week with a black tie event at Dynamic Duos. Create a project with Melon Mambo & Basic Black. The dessert option is to add ribbon. My photography skills were obviously lacking when I took photos of this card! No amount of photo editing was giving me the true colors of the card. The card is a brighter pink/black combination in person! My card is made with Smoothie & Black cardstock by Close To My Heart. The flower layers were cut with the Cricut Art Philosophy cartridge. I scored the center of each petal, sponged the edges and rolled the ends of the petals to add more dimension. My card is based on the inspiration card at CASE Study by Joy Taylor. Thanks for stopping by! Be sure and link up your creation at Dynamic Duos by Thursday at noon (PDT)! I LOVE all your art, it's amazing!!! Wow! Stunning card! 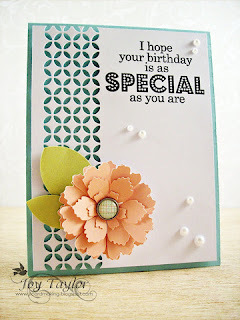 Just love your flower and your great CASE of (the super talented) Joy's card!! Awesome job!! How fabulous Allisa, so pretty and very classy. So super pretty! I love the CASE card this week, and your take on it too. Another inspirational and totally pinned card, Allisa! What a lovely card - so elegant! The Design Team are really pleased that you joined us for the Simon Says Stamp and Show Challenge this week - Thank you! 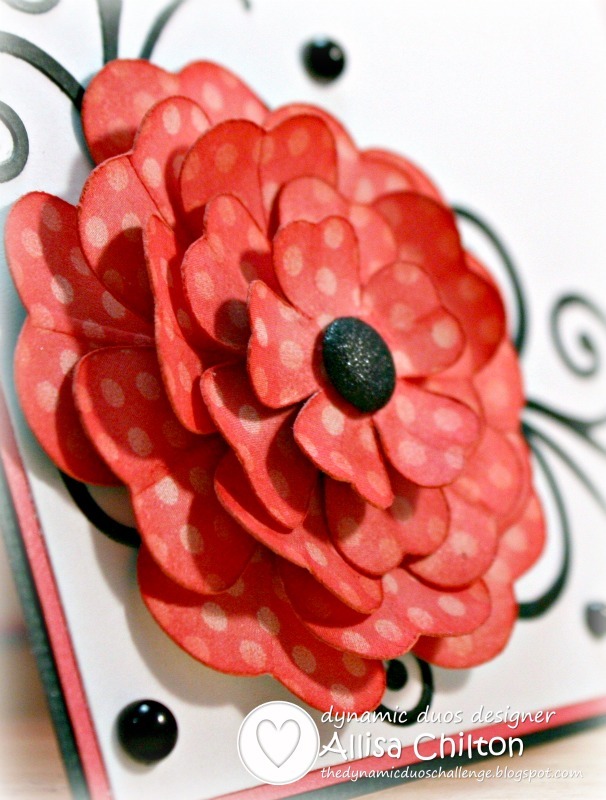 Fantastic and elegant card Alissa, must say I just love the flower. Thank's for joining in with us at Lexi's Creation this week for our 'Happy Birthday' Challenge! I apologize Allisa but I am pretty sure I spelled your name wrong in my previous post, just caught it as I hit 'publish. Super elegant and I ADORE that gorgeous flower! Thanks for playing in the Sassy Cheryl's Birthday challenge this week. Just divine Allisa! Love the flower and those flourishes are a gorgeous compliment to your flower. Gorgeous card!! Thanks for playing with us at the Paper Shelter. Stunning work Allisa! Love that flower! Wow! Great job on both cards, I love the flourishes you used. Stunning cards. I just purchased the dotty CTMH paper pack. It is perfect for your flower. Love the details on your cards. CAS is the card style that I love to use. Thank you for joining us this week at Lexi's Creations. Hope to see you again Monday for our next challenge. I love this card, that beautiful flower really stands out and looks amazing.